Great article, originally posted at Fox Business website about the fastest growing alcoholic beverage in the U.S. I thought they were a “spin-free” zone, but they would have you believe that we’d never thought that it was mead. What idiots! Of course it is! We’ve been saying it for years. Still, it’s nice of them to finally come around. As craft beer’s growth slows, sales of wine and spirits are taking off, but the fastest-growing alcoholic beverage in the U.S. today is one you’ve probably never heard of. Mead is the oldest fermented beverage on earth, predating all other alcoholic beverages, even beer, with cave drawings of Paleolithic man enjoying the fruits of the beehive. And unlike many other beverages, mead has been drunk by people of all cultures around the world and across time, from ancient Egypt and Greece, through Mesopotamia, India, and Africa. It’s mentioned extensively in the Nordic tale Beowulf and arguably had its greatest period of proliferation in medieval Europe, explaining why, if anyone has stumbled across mead, it’s probably been at a Renaissance festival. But today there is a resurgence in mead making and appreciation for the drink known as “the nectar of the gods,” and the growth in the number of meaderies producing this ancient drink is outstripping all other alcoholic beverages. Between 2013 and 2016, the number of wineries in operation grew 11%; distilleries grew 71%; and craft breweries grew 80%. But during that same period, the number of meaderies in operation more than doubled. Of course, the base from which meaderies started is minuscule, so in comparison with the number of larger, more well-known alcoholic beverages, mead’s presence is still inconsequential, with fewer than 500 meaderies. So what is mead? At its most basic, it’s perhaps easiest to describe it as a wine, though instead of using grapes to ferment and create alcohol, it relies on honey. So although many call it a honey wine, it is really its own beverage, and today mead is so much more than what you’ll find at a ren faire. Whether a traditional mead consisting of little more than honey, water, and yeast; a spiced mead, called a metheglin; or a fruit-infused mead, known as a melomel; and whether it’s still or carbonated, there are a variety of flavor profiles for every palette. As practiced by the biggest meaderies and best mazers (what the people who make mead are called), it can easily challenge the finest wines in flavor and delicacy. But for the growing legions of mead fans, it simply is a really tasty beverage to drink. Part of the reason mead is relatively unknown today is that the craft largely died out as using grains to make alcohol proved to be cheaper. And honey is still comparatively expensive today, which is why mead often carries a premium or even super-premium price tag, though it is gaining ground once more as more meaderies open and more people discover it, whether at a ren faire, a mead hall, or a local tasting room. I recently spoke with the executive director of the American Mead Makers Association, Vicky Rowe, who explained the explosive growth in mead making. She said the association is seeing a new meadery open at an average of one every three days. Today there are 412 meaderies in operation in 45 states, the District of Columbia, and Puerto Rico. Dozens more are in the process of opening. Production numbers are hard to come by, however, because the government’s Alcohol and Tobacco Tax and Trade Bureau lumps mead production in with wine, and while the AMMA surveys its members on their numbers, there are really only a dozen or so good-sized meaderies in operation, with the vast majority being artisan in nature. Regulatory hurdles are another problem. As one example, a type of mead known as a braggot is made using both honey and malt, which causes regulators to classify it as a beer, meaning a meadery can’t make it without first having to jump through hoops, such as also possessing a brewer’s license, and designating a portion of their facilities as a brewery when they’re making it. Rowe believes that taxing a beverage based on its ingredients is silly, and the AMMA is working to have mead classified as its own unique alcoholic beverage for tax purposes. It’s a similar situation at the state level, where, because regulators are unfamiliar with the drink, it takes special lobbying efforts to open a production facility. New Jersey, for example, got its first and only meadery three years ago, after Melovino Meadery waged a campaign to persuade regulators to issue a license for mead-making. Mead is still dominated by small meaderies that got started in the garages and basements of their owners. 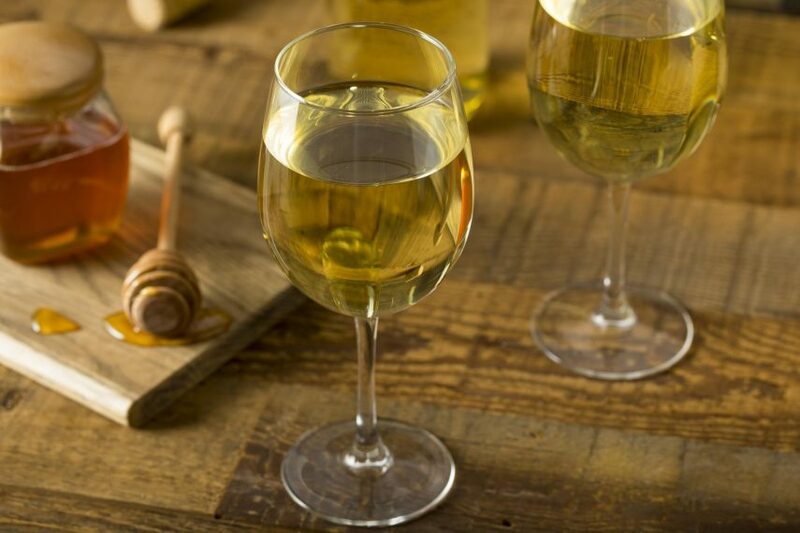 Now the beverage is on a comeback, and while long considered the drink of kings, honey-based mead is once again creating a buzz with its meteoric growth. Originally posted at Fox Business website. Drawing from over 10 years of mead-making experience and a host of engineering degrees and certificates, Mike is the technician of the group. His attention to detail is only outdone by his world-famous Melomel Cherry Mead. Mike lives in Chicago, Illinois with his Wife and two children.